There’s no doubt golden retrievers make wonderful pets, but what is it about them that has captured the hearts and minds of millions? 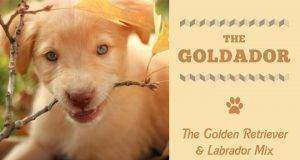 There are countless great things about goldens, but we’ve tried to distill the essence of their lovely personalities down to sixteen points. It’s challenging, sure, but we think we’ve got it just about covered. 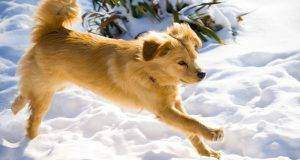 Although every dog is an individual with their own quirks that make them who they are, golden retrievers, like other dog breeds, tend to share a number of traits that make them the awesome animals they are. 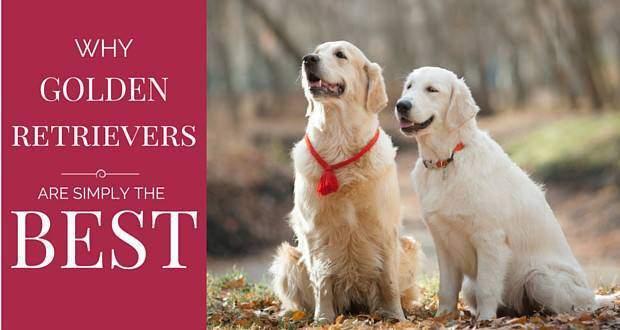 So, here are sixteen reasons golden retrievers make such great pets. One of the top reasons for anybody choosing a particular breed of dog over others for a pet is their looks. And Golden Retrievers score very highly in the beauty stakes! From their soulful, piercing brown eyes, to their wise looking but always friendly face. But of course more than anything, their flowing, strikingly golden coat. Nobody can deny the stand out beauty of golden retrievers. They look good on the arm of any human suitor! Golden retrievers seem to have an almost infinite capacity for love. There’s no doubt that your dog loves you, as they show it in everything they do, from greeting you at the door to sitting at your feet to cheering you up when you feel sad. But, goldens don’t just show love for their own families, they’re happy to share out the love to anyone and everyone they meet. Having a golden retriever is like having your own personal therapist on call 24 hours a day. These intuitive dogs seem to know when you’re upset and need a hairy hug. They’re even better to talk to than a human friend (unless you need advice), because they won’t mind if you talk about your problems for hours on end. There’s nothing more comforting than knowing that you’ve got a wonderful four-legged friend to come home to and share your troubles with. One of the top 5 smartest dogs in the world, Golden retrievers are considered easy to train and can learn an awful lot of commands and tricks. Of course you’ll want to master basic obedience together, but you can also impress your friends with all sorts of tricks such as: Learning the names of and fetching different items, putting away their toys, dancing and even bringing you a drink! Of course, being such an intelligent breed it does mean you simply have to dedicate to regular training, otherwise those smarts can lead to mischief and misbehavior. Non-dog people might think it strange when you say your dog is funny, but golden retrievers really do make their people laugh, and isn’t that the definition of being funny? Of course, they’re not cracking jokes or making witty and astute political commentaries, but they bring fun and laughter into our lives, whether they’re zooming around the house like nobody’s business or trying desperately to fit five toys in their mouth in one go. We all like to think that we’re disciplined enough to get regular exercise but, honestly, we probably wouldn’t go for long daily walks if it wasn’t for our dogs. 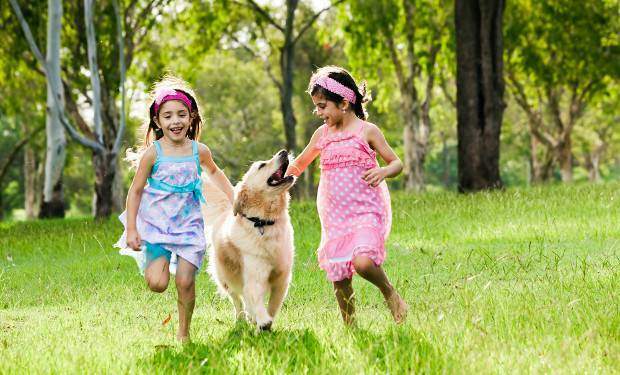 Goldens need to walk for at least an hour a day, but can happily go much further, so they get us moving and keep us more fit and healthy. While goldens aren’t usually the top of the list when you think of brave dog breeds, they’re so loyal and loving to their humans they’ll go the extra mile to protect them from harm. You’ll find numerous tales of bravery from these dogs if you look for them. One such story is of a golden retriever named Figo who put himself between his blind owner and a school bus when it came hurtling toward the pair. Luckily, Figo came through the accident with just a broken leg. 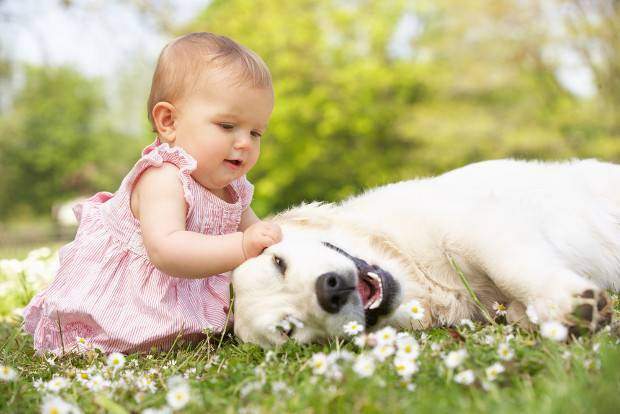 Various studies have suggested that people with dogs live longer on average than people who don’t own pets. 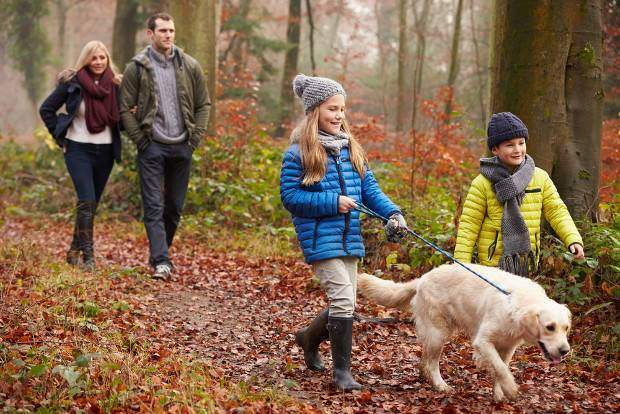 There could be several reasons for this, one of the primary ones being that dog owners tend to get more exercise and have been found to have lower than average cholesterol levels. Whatever the reasons, if our canine companions help us to live longer, that’s another added bonus! If humans acted like golden retrievers do, it would be a strange world indeed! Members of this breed are so enthusiastic about everyone they meet, everywhere they go, and everything they see and do that it would almost be annoying if it wasn’t so endearing. In fact, their enthusiasm for life, the universe and everything is contagious, so spend time with a golden and you’ll soon start to become one of those cheery glass-half-full people! Confidence can be a hard trait for humans to come by, but you can’t say the same for golden retrievers! In fact, these dogs are famed for their friendliness and easygoing personalities, which means they tend to be calm and confident in all kinds of situations. One thing you’ll notice about golden retrievers is that they don’t like to be left out of the action one little bit. If you’re at home doing something, the chances are that your dog wants to be doing it, too. Even if the thing that you’re doing is trying to take a bathroom break, unfortunately. 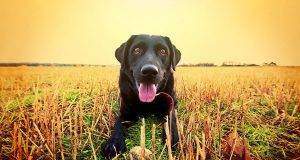 Out and about, they want to get involved with everything that’s going on, whether that means making a new dog pal or splashing their way through the muddiest puddles they can find. 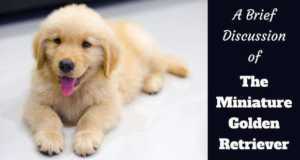 Golden retrievers are big dogs, and they’re certainly full of energy, but they also tend to be extremely gentle. 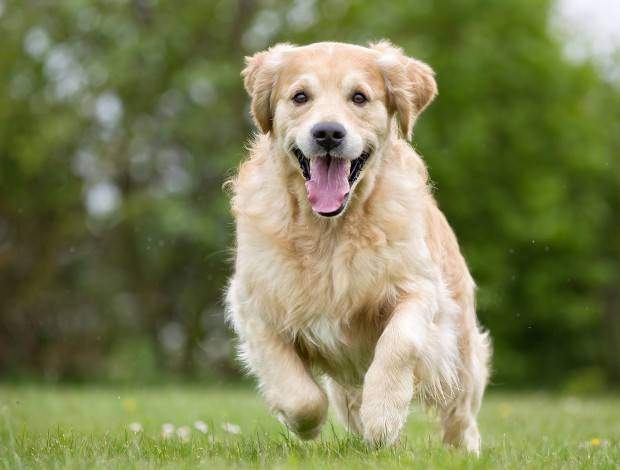 These dogs are one of the few breeds to historically have been selectively bred for temperament over looks, and many breed standards include the fact that goldens should have a sweet and gentle temperament. As such, these pups are among the best family pets around. Anyone who has spent time with goldens will know that these dogs love to please their humans. Not only is this generally rewarding, but it ultimately means that they’re often much easier to train than many other breeds of dog. If you give them lots of love, fuss and praise when they do something right, they’ll learn in no time at all. Although golden retrievers are friends to everyone (and, let’s face it, you wouldn’t have it any other way), they’re still amazingly loyal to their families, and will always put you first. There’s nothing that your four-legged friend wouldn’t do for you. You just can’t buy that kind of loyalty. They say a man’s (or woman’s) best friend is their dog, and this is undoubtedly true with a golden retriever. No other friend is available to you whenever you want to hang out, always wants to do whatever you’re doing, never mocks you or tells you that thing you’re excited about is a bad idea. Who needs human friends when you’ve got a dog on your side?! Many dog breeds just don’t ‘play nicely’ when it comes to other pets. Be that cats, rabbits, or sometimes even other dogs. 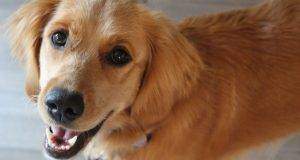 But Golden Retrievers, as long as they’ve been given sufficient socialization, are more than happy to share their home with other dogs and animals of other species. Having a dog who’s trustworthy around your other pets brings peace of mind and a harmonious household, not least for those other pets! Can You Think Of Further Reasons? 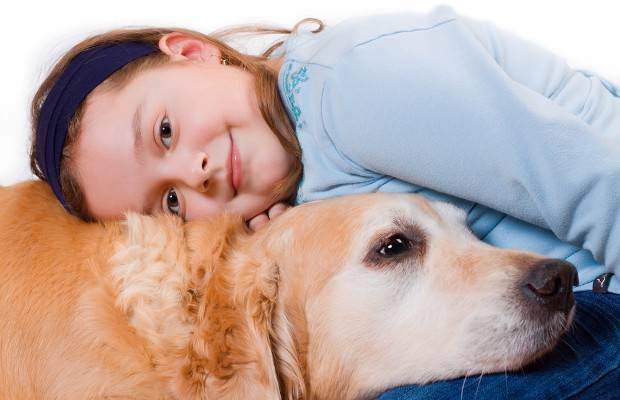 Can you think of other reasons that make golden retrievers such wonderful dogs and awesome pets ? I’m sure we’ve missed at least hundreds! We’d love to hear why you love your Golden so please share it with us in the comment section below. 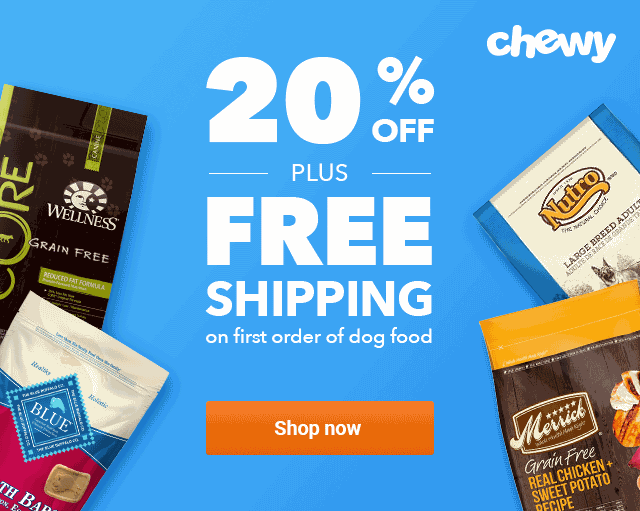 Previous: Golden Retriever Grooming – What Tasks Need Doing? I adopted Emma just 2 years ago. She was abandoned and I found her in a shelter. Practically hairless and around 10 years of age. After weeks and months of treatments she is absolutely beautiful and so happy. She is the love of my life. She rescued me and is loyal, kind, compassionate and understanding. I can’t imagine life without her. She is an incredible gift. This beautiful golden retriever has given life to me! The best part of your article for me is when you talked about how Golden Retrievers are considered to be smart that’s easy to be trained. My husband is fond of teaching pets different commands and tricks. At the moment, he’s interested to buy a dog but unsure which breed to buy. Now that I’ve learned how smart and trainable Golden Retrievers are, I will make sure to share your blog with my husband so he can consider it. Hi, Lauren. What’s up? My most favorite dog is Golden Retriever too. Very adorable, funny, beautiful eyes makes it awesome. Totally a perfect pet sibling to me. Shortly after my mum died we got Casper from a shelter. A three-year old Golden Retriever. Scared, underweight and traumatized. Nursing him back to health did the same for my heart. Everything in this article is so recognizable. He’s seven now and IMO the most beautiful Golden this part of the globe. If I could add one reason why they make such great dogs it would be the fact that they’re able to bring a smile to complete strangers. I live in a town that attracts quite a lot of foreign tourists and when I go for a walk with Casper I’m always surprised how he manages to make people from all different countries smile just by walking around with his tennis ball or the wood stick he picked up somewhere. Best diplomats in the world. i have a golden retriever. I know every dog is beautiful but golden retrievers are the most beautiful dogs. They are also very friendly. Goldens are protective and love unconditionally. Amazing companions and provide comfort to their humans in a very intuitive way. Have owned Goldens since 1974 and cannot imagine life without them!